About the Children's Department: CM Conference North America - Don't Miss It! CM Conference North America - Don't Miss It! What are you doing April 30 - May 3, 2018? Do you have plans for this week which will impact not only your life, but the lives of the children, families and volunteers in your ministry? Well, you could participate in a week of training and encouraging which will leave you equipped to more effectively serve those to whom God has called you! I know, kinda sounds like a "big build-up", but it is true! So, what is this event in which you could be involved? It is the CM Conference North America and it is being held in the 2/42 Community Church in Brighton, Michigan April 30 - May 3, 2018! CM Connect has this to say about it . 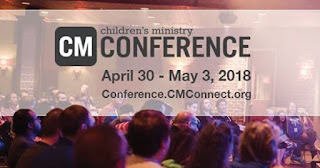 . . "CMConnect’s Children’s Ministry Conference (CMConference) is organized by the church – for the Church. Advancing the local Church is why we host our events in partnership with local churches. It’s why our events are led by volunteers. It’s why we make it affordable for everyone. It’s why we come together to celebrate in daily after-parties. The CMConference is a large-scale, multi-national training event designed to amplify the best practices of leaders. We feature sessions and breakouts from people who are practitioners and have expertise in the topic they are presenting. Our humble desire is to lift up bright spots and to help replicate time tested, God ordained fruit bearing ministry. 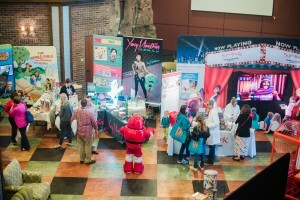 Our community is here to serve you; we hope you will join us and bring your team to any of our CMConference events." The cost for this conference includes more than 100 training sessions from which you may choose, full conference access, a "super-epic t-shirt", and unlimited networking opportunities! And, not only is the cost for a ticket low (ranging from $19 per person to $119 per person), but they also offer generous scholarships - up to 100% because they truly want you to come and do not want finances to stop you from doing so. You will find all the details at this link. Just some of the speakers at this conference include - Michael Chanley, Linda Ransom-Jacobs, Wayne Stocks, Tom Bump, Roger Fields, Bo Harrington, Ryan Frank, Brad Tate and many more! You will NOT want to miss this opportunity to learn, be encouraged and equipped to go back and make a difference in the lives of children, families and volunteers in your church and community!
. . . which gives you an idea of what to expect this year! You will not be disappointed! Look what people are saying about the CM Conference . . .
“I think it’s the most genuine conference I’ve been to. There was a lot of ‘real’ and ‘authentic’ going on. That was my favorite part. “This is what a children’s ministry conference would look like if it were put together by children’s ministers. … equal parts challenging, in depth-learning, rejuvenating corporate worship, valuable networking and a refreshing gathering of friends." So, what are you doing April 30 - May 3, 2018? Do you have plans for this week which will impact not only your life, but the lives of the children, families and volunteers in your ministry? Make plans today to attend and participate in the 2018 CM Conference - North America and advance/together, connect/together and serve/together . . . you, and your ministry, will be so thankful you did!